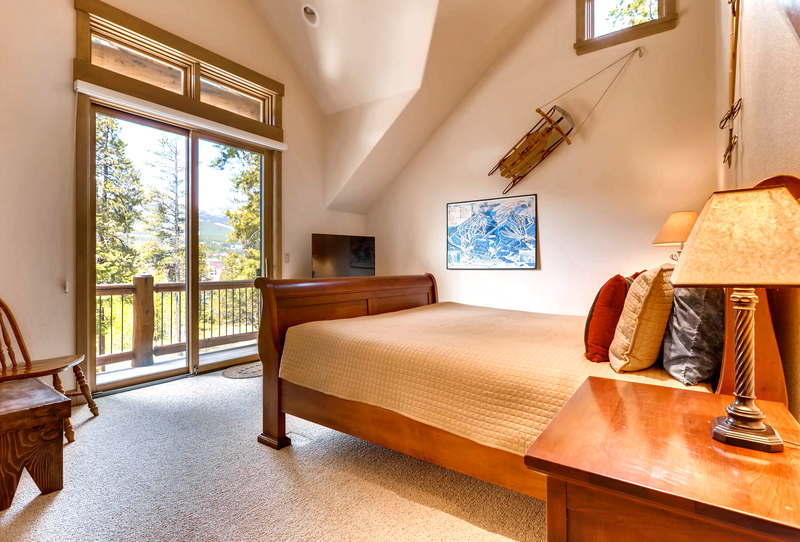 Walk to Breckenridge Main Street, views of the ski mountains from every window, huge deck, private quiet neighborhood and sunny all day - that's the perfect Mountain Bear Lodge! 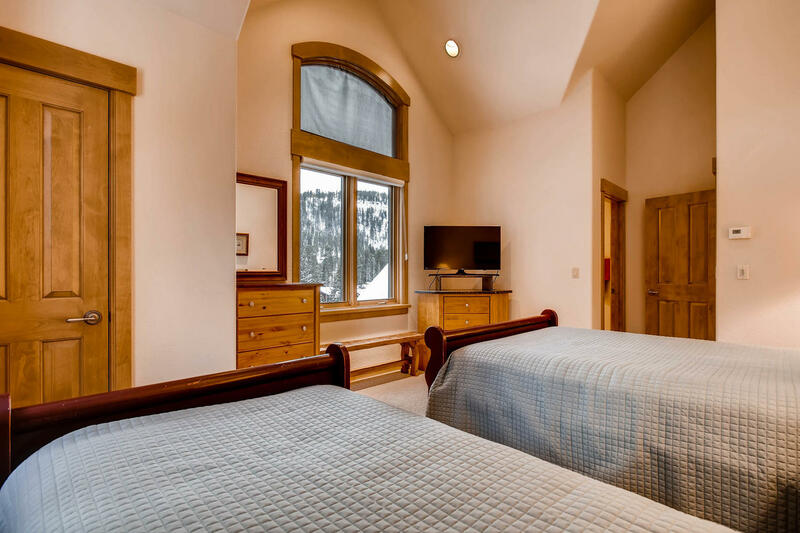 Paragon Lodging in Breckenridge Colorado is the SOLE authorized Property Manager and Rental Agent for Mountain Bear Lodge. Paragon Lodging enforces an age policy of 25 years old. Families with children are welcome. We regret, we do not accept college groups. We loved the house. It was perfect for our family ski vacation!!! Beautiful throughout, great view from the deck and hottub!! Beds were comfy, plenty of fresh towels. The kitchen had all that was needed. Nice little touches like the welcome on the counter including chapstick and local chocolate bar pack. Can't say enough good stuff here!! Thank you, Jeffery! Come back and see us again soon! We enjoyed our stay at Mountain Bear Lodge. Quite a nice house, clean and tidy. Beautiful view and a short walk to the shops at main street. There was an issue with the hot tub, but they got that squared away on the 3rd day. Happy to recommend it! Myself and 12 other adults had an unforgettable experience, staying at Mountain Bear Lodge. You simply cannot beat the view! The home is spacious, comfortable and well-equipped for couples and families. 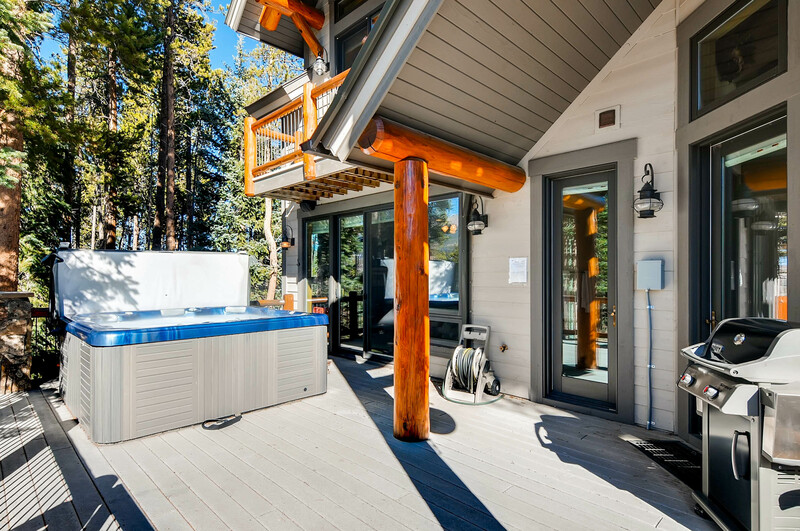 We enjoyed the large community areas, including: kitchen, living, and outdoor deck as well as the privacy of each ensuite bedroom. The location was super for accessing Main Street shopping, ski rentals, and the slopes. A nearby trail made the walk into town that much closer and the free shuttle also highly convenient from the home. Paragon's staff and their partners (grocery delivery and other amenities) were all 5-star too! Truly a dream vacation. We will be back! We had a great extended family vacation (6 adults and 7 kids ages 2-10). It is a beautiful house with an amazing view. It was well stocked with the basics. 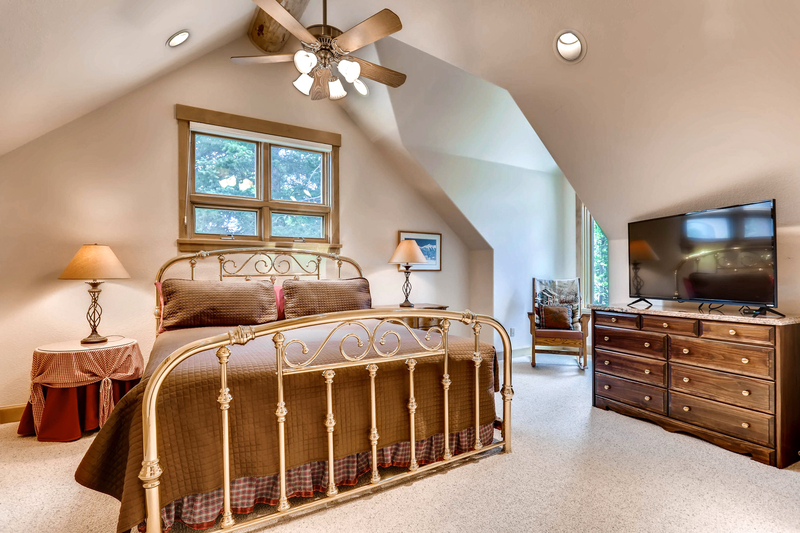 It has comfortable furniture, beds, pillows, and plenty of storage. 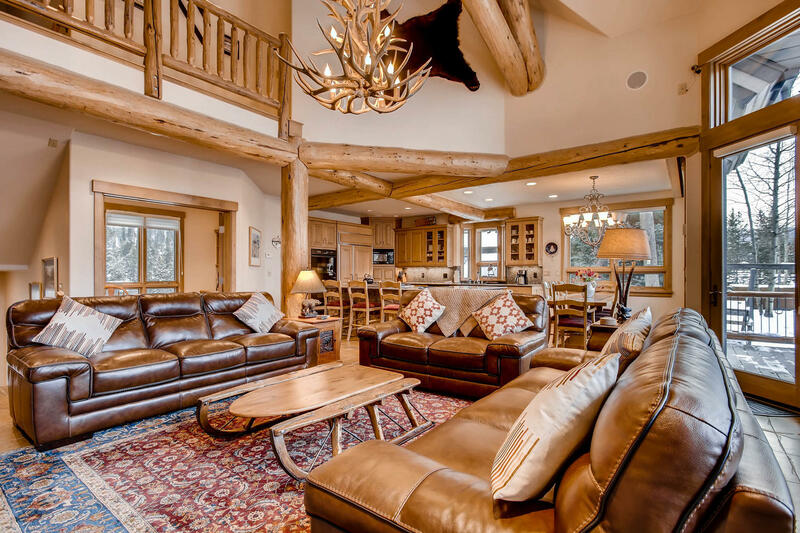 Mountain Bear Lodge is a gorgeous home in a very beautiful, convenient location. 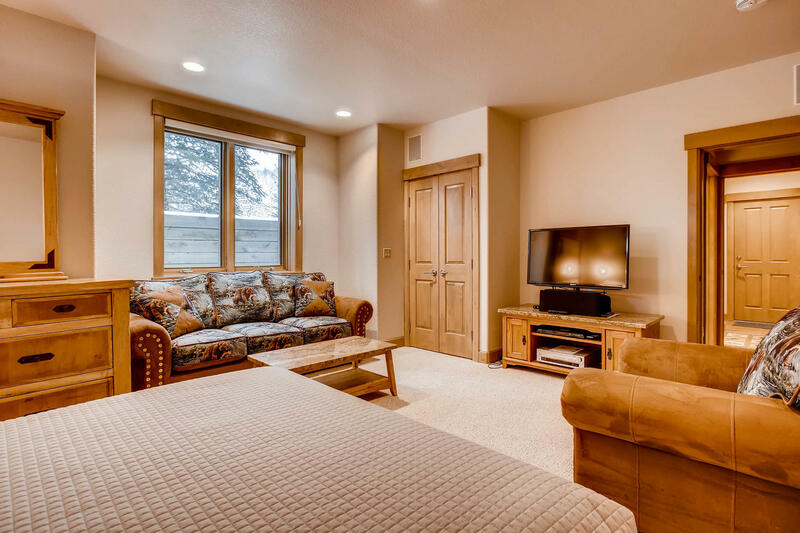 Perfect place to enjoy a Breckenridge stay! Dear Sarah, thank you for the wonderful review - we're so happy that you enjoyed your time in Breckenridge and at Mountain Bear Lodge. We hope you'll visit again! Family of 11 (sibilings, their families, grandparents) on vacation for a week to the Rockies. We thoroughly enjoyed this property. The views from the back porch were amazing. Town of Breck was a short 5 minute walk, so restaurants and shopping were very close. A short 10-15 minute ride to some awesome hiking trails. 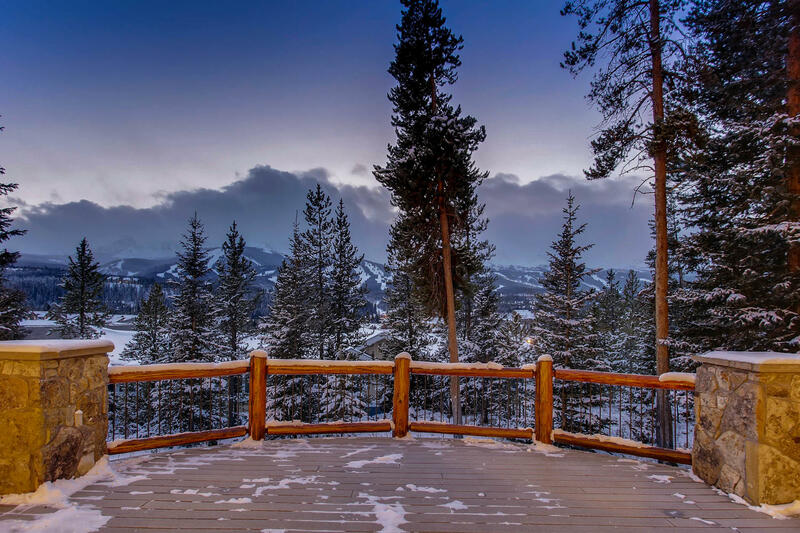 Can't beat this spot for a summer vacation rental in Breck. Beautiful house in a great location. We had a full house so being so close to town allowed some people to relax on the porch looking at the peaks while others could make the short 2-3 minute walk into town. We rented this beautiful property with 2 other friend families---6 adults and 4 kids. What a perfect house for our group! We spent almost all of our time soaking in the view off the back deck. That view cannot be topped. We loved being able to enjoy it from the dining room and living room as well. A red fox made daily appearances in the back yard.....he'd romp through at about 5pm each afternoon. He only stayed for a minute at most, but it was magical to see. Since we had a large group, we ate almost all meals in. The kitchen is spacious and has great appliances. I wish we had known specifically what cookware was available as it might have changed our meal planning (done prior to arrival). There is a crockpot. Our group could have used a few more large serving pieces (platters and large bowls), but overall the kitchen is very well stocked with plates and glasses. I think all the hairdryers need to be replaced as well. Again, a better description of what is in the house would be helpful. We brought bar soap, toilet paper, dish soap, dishwasher detergent, trash bags and laundry detergent not realizing we would be provided with ample for a week's stay (usually we've found a day or two's worth of supplies at most at rental properties). The location was ideal. We could walk to town within 10 minutes, and while there are houses next door, the property feels isolated and private. We were very pleased with Paragon's level of service, calling us to let us know our property was ready 2 hours early. 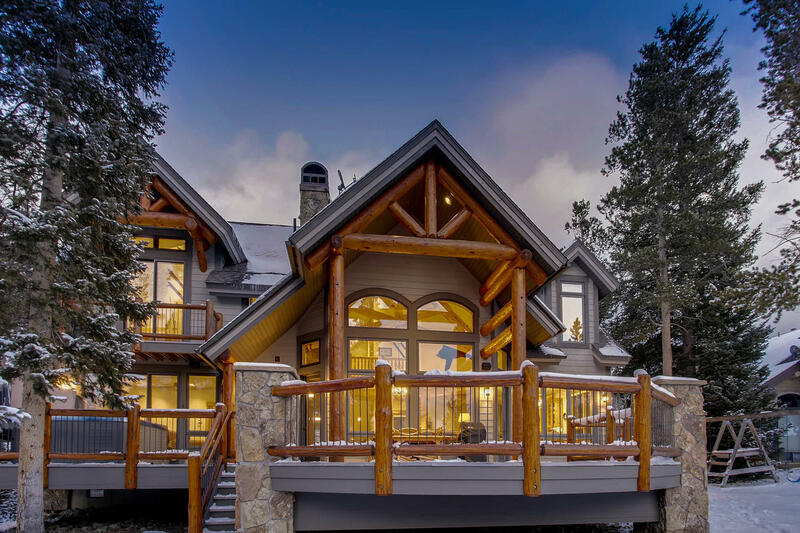 We would definitely come back here on a return trip to Breckenridge! Wonderful experience. Lots of room, everything was so convenient and in place. Loved being so close to downtown. Our family of 12 spent Thanksgiving at Mountain Bear Lodge. Great floor plan for everyone to enjoy time together in the kitchen, great room and deck, with each couple able to have their own bedroom. 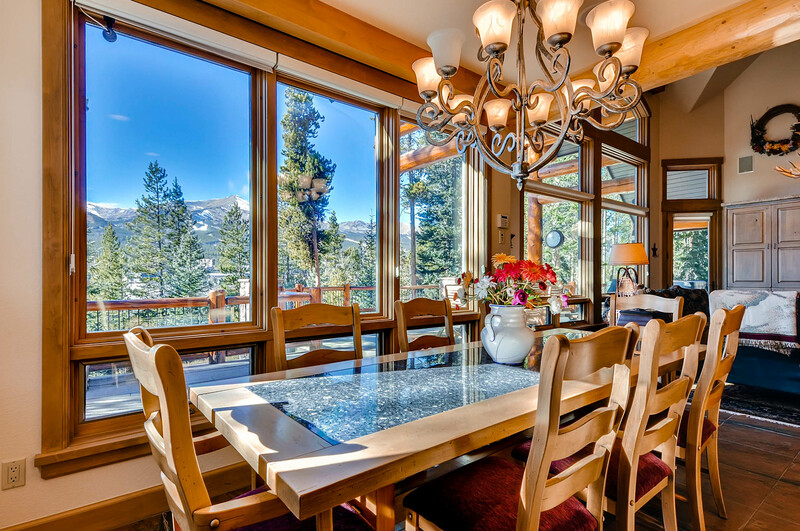 It was clean with a well equipped kitchen, beautifully furnished and an amazing view of the slopes. The location is terrific, just a short walk to town. We've stayed at many of Paragon's properties and they're all superb. We went to celebrate my Birthday. It was an amazing home with great views. The house was absolutely perfect!! Highly recommend. Best home we have ever stayed in. Fully equipped with all the necessities for a large group. Spectacular views of the mountian. A short walk to bus stop, main st, the lifts and carter park. 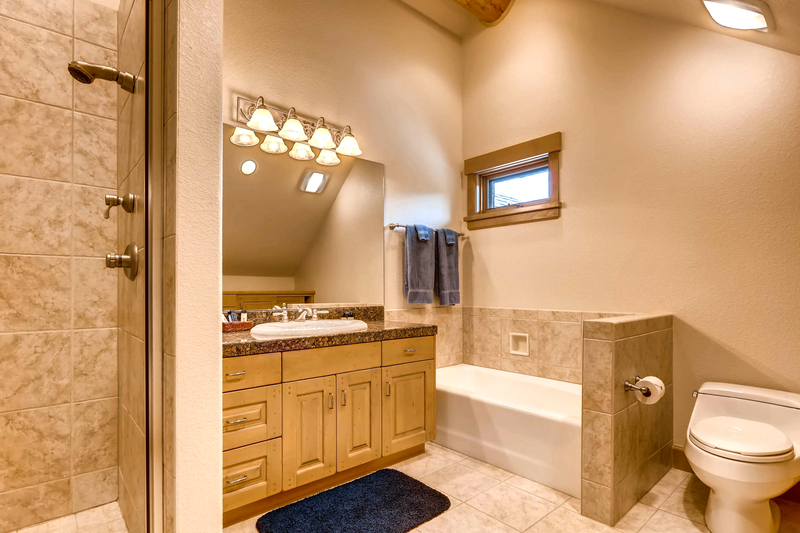 Beautiful home with great access to the town of Breck! Our family of 7 adults thoroughly enjoyed our stay at Mountain Bear Lodge this summer. The location was so close to town that we walked over several times a day for coffee, dinner or just to shop. 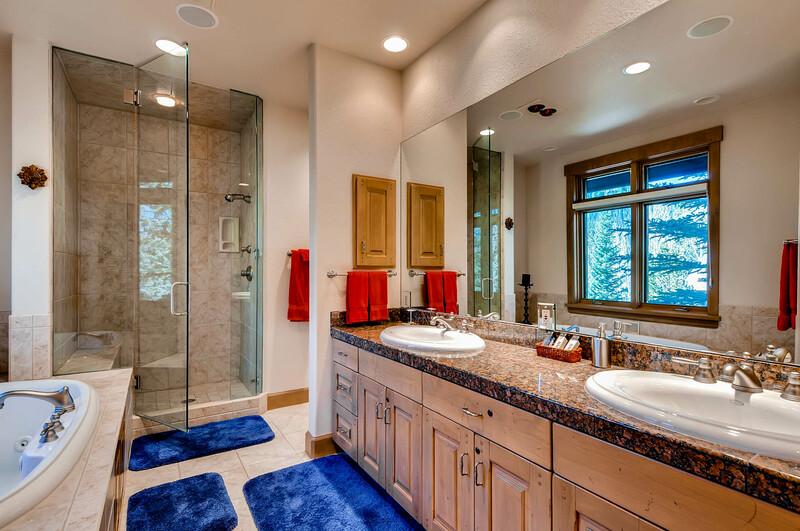 Everything in the home was clean and well-maintained. The beds and rooms were very comfortable and the view from the back deck was beautiful. Originally I was concerned we may be overlooking the tops of buildings, but it wasn't an issue. Coffee on the deck was so relaxing, and the local foxes played in the backyard and entertained us. This was our first stay with Paragon Lodging, and the staff and service were exceptional! The view sold me. Beds were uncomfortable but would still highly recommend. 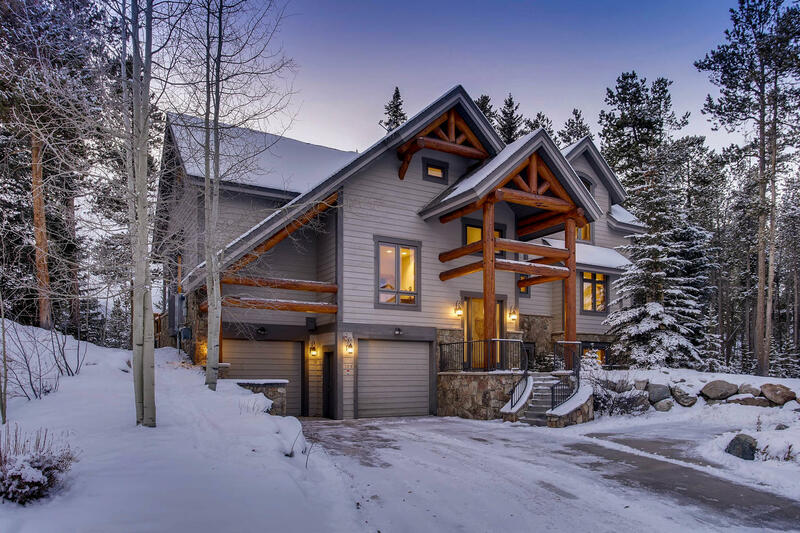 Breckenridge is a beautiful area and this home was perfect for our family. 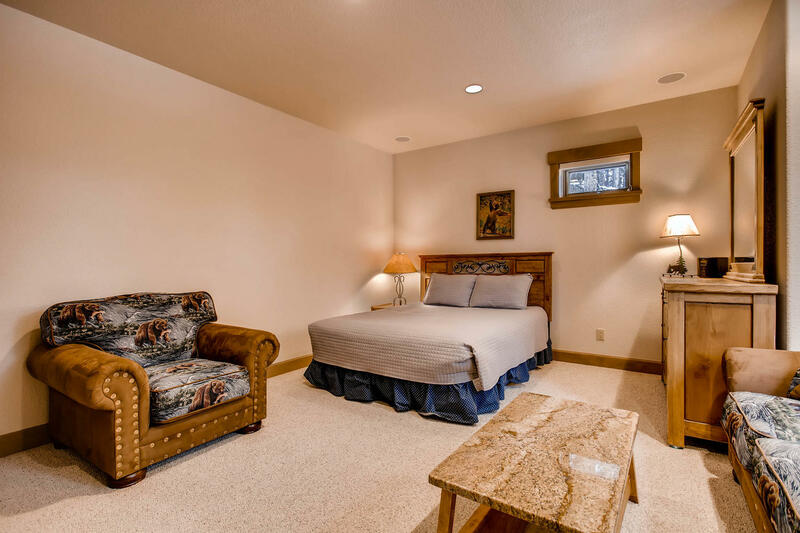 Plenty of room and very comfortable and in walking distance of Main Street. Thank you Robert - come back and see us again soon! We had a great experience at the Mountain Bear Lodge between Christmas and the New Year. The layout of the house was perfect for our family of 10. We enjoyed cooking in and also being able to walk a short distance to many restaurants in town. The view from the family room and the large deck of the entire resort was amazing. The staff at Paragon Lodging were professional and very helpful, they even arranged food and a Christmas Tree delivered to us prior to our arrival on Christmas Day. Thanks Gene!! We're happy you had a nice time in Breck - please come back and see us again soon! Thank you for the great review! 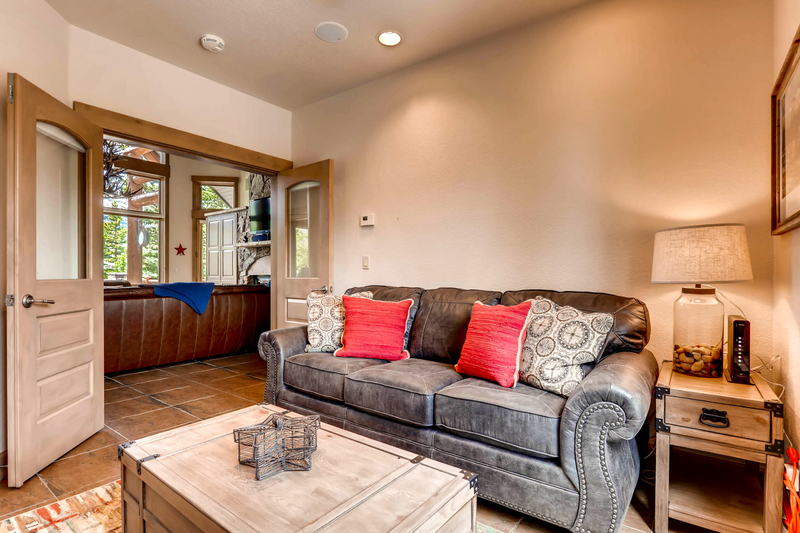 We're happy you enjoyed your stay at Mountain Bear Lodge - we look forward to greeting you again soon! 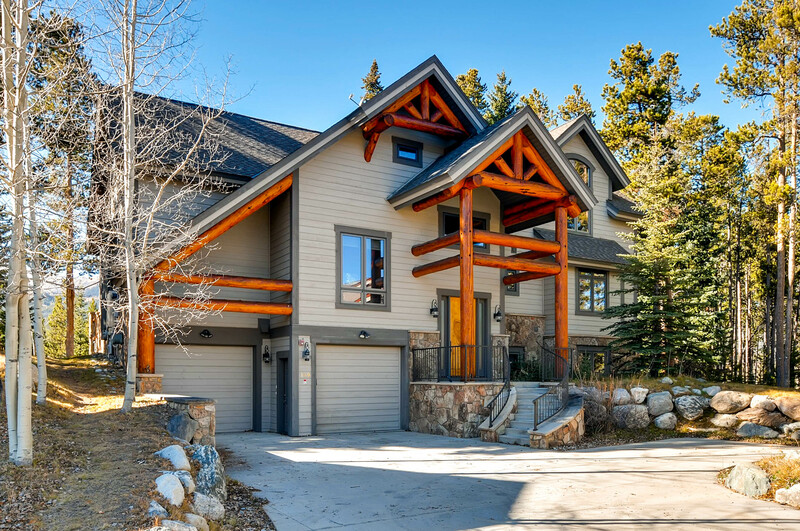 Mountain Bear Lodge and Paragon Rentals made our vacation experience in Breckenridge perfect. 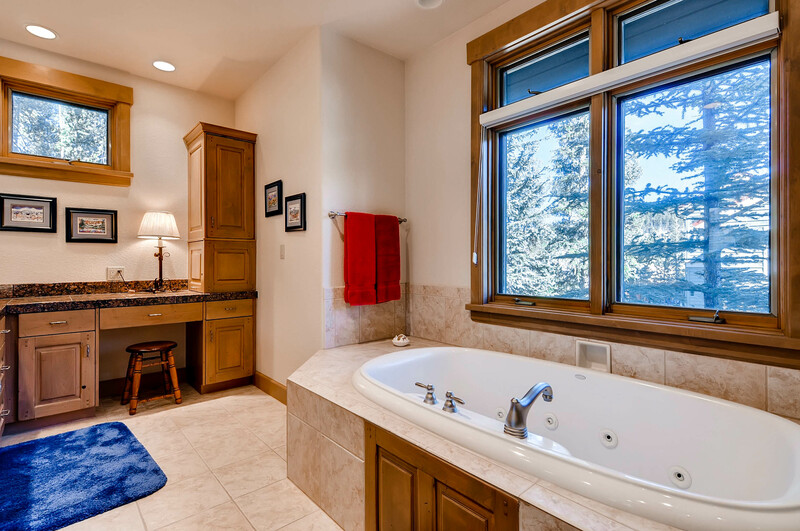 The house was well located, clean, stocked with amenities.. All with a beautiful view of the slopes. Paragon was unbelievably helpful, professional and responsive. I highly recommend both. Enjoyed our stay at Mountain Bear Lodge. The house was absolutely beautiful and so well decorated. You couldn’t ask for a better deck and view. It was extremely clean and well stocked with everything we needed. Working with Paragon was very enjoyable. 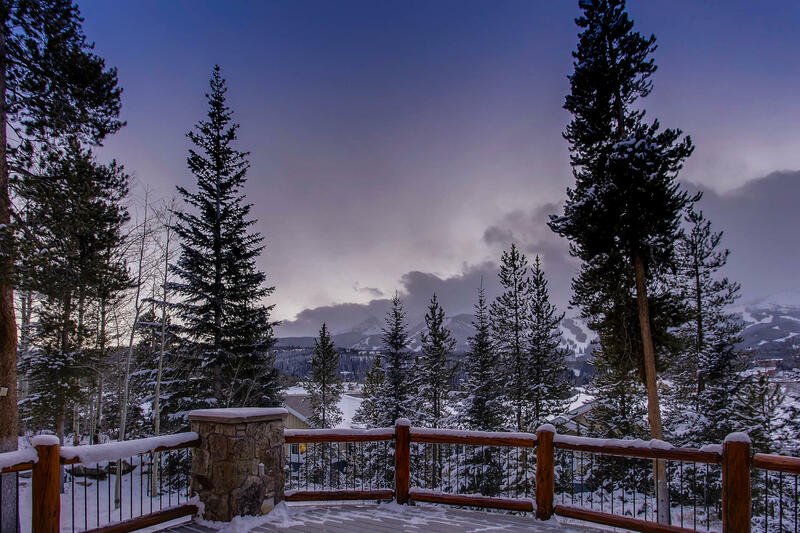 I recommend this property to anyone looking for a great Vacation home in Breckenridge .